Custom kitchen cabinets are the focal point of any kitchen. While cabinet from a huge box store is usually cheaper, custom made ones are, by far, of higher value. They have a dual benefit of magnificence and functionality. Cabinets happen to be the biggest investment in the kitchen and since the kitchen is one of the main investments in any house, having them designed right is paramount. Custom kitchen cabinets offer a personal selection of finish, wood type, style, as well as hardware that clearly addresses the needs and objectives of the owner. Unlike stock cabinets which made in bulk in batches at various times, often resulting in non-matching materials, Custom kitchen cabinet is made per order using hand selected materials, and is finished at the same time. They, therefore, accords the owner freedom to pre-determine elegance and budget of their intended custom cabinets. There can be no two cooks using their kitchens in the same way. The fact that all stock kitchen cabinetry exclusively offer standard options is, therefore, not the best idea. For instance, there are gourmet cooks who need an extra space for spices, while to another such a space would be a waste of time and resources. Customized kitchen cabinetry takes care of the various needs of different cooks by factoring in their specifications. Taller or shorter, people will also have kitchen cabinets designed to their specification, and hence comfort. 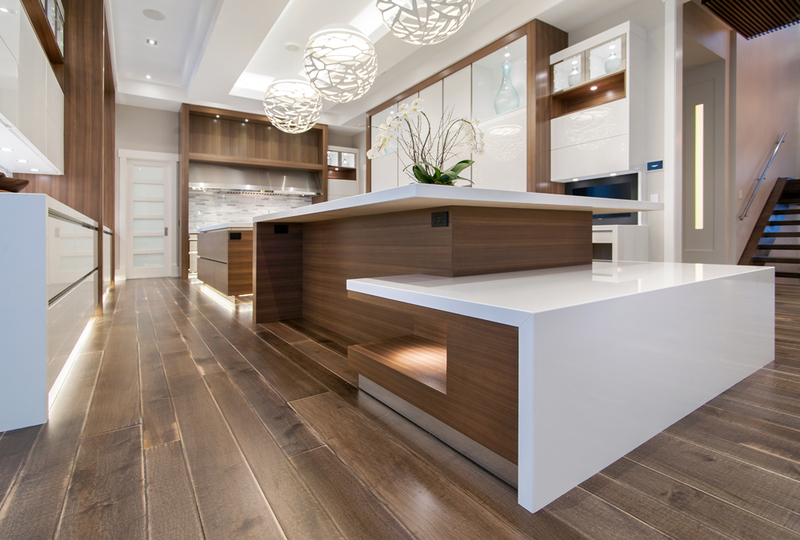 Even when the layout of a kitchen is unconventional, custom built cabinetry wastes no space whatsoever. Stock kitchen cabinets, on the other hand, are manufactured to be used in standard kitchen layouts and sizes, and as such will not perfectly fit kitchen with unconventional layouts. When stock cabinetry is forced into kitchens with unconventional layouts, they result in massive wastage of space. Exercise extra caution when measuring available kitchen space, and go for the best fit. Take advantage of the fact that Custom kitchen cabinet comes in various sizes, depth, and shape. Depending on the funds available, a homeowner can opt for a fully customized kitchen cabinet, or a semi-custom one-which tends to cost lower. The former come in all-wood varieties, while the later usually have some manufactured parts, which may not be as long-lasting. High-quality custom kitchen cabinets can transform an inefficient kitchen into an organized, functional, and multitasking space. They come with a dizzying array of options and finishes, at the various price points, all geared towards maximum utilization of any kitchen space and layout.